Westsail Owners Alliance - Post: "Westsail 28 Hull #1 For Sale In Marina Del Rey"
Post: "Westsail 28 Hull #1 For Sale In Marina Del Rey"
It looks like I'll be spending most of the next year in the middle of the country....and out of the country. 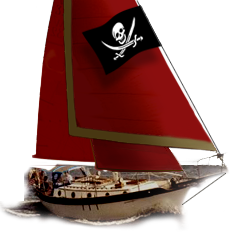 I've been tossing ideas around, and i've decide to sell my beautiful, Westsail 28, Hull #1 TORTUGA...previously Sweet Interim. She was in excellent shape when I bought her two years ago...and I've continually upgraded and maintained her well. My asking price is $34,000. including a transferable Marina Del rey, Ca. slip. Feel free to e-mail me at: lazystar@aol.com or call 323 356 6261 for specs and pics. I'll be advertising it on Bud's site this week.